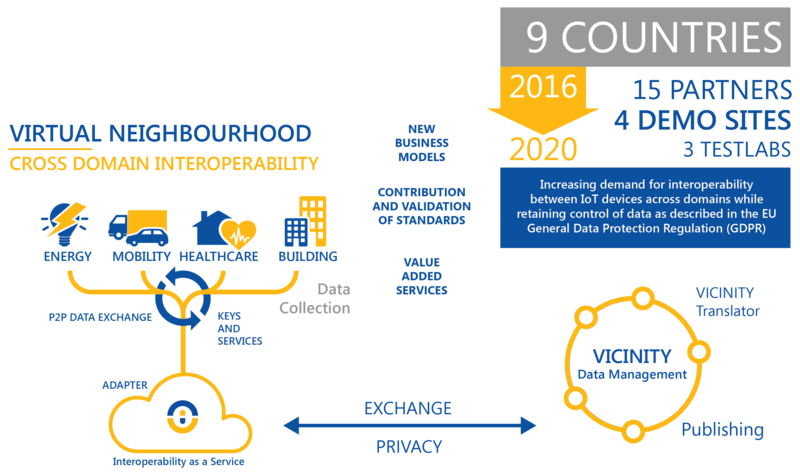 The VICINITY project will build and demonstrate a bottom-up ecosystem of decentralised interoperability of Internet of Things (IoT) infrastructures, where users can share the access to their smart objects without losing the control over them. The concept of decentralism is expressed by the fact that the platform includes neither central operator roles, nor central databases to store sensitive data about users. Instead of that, it connects different smart objects into a social network called virtual neighbourhood where infrastructure owners keep under control their shared devices and data. 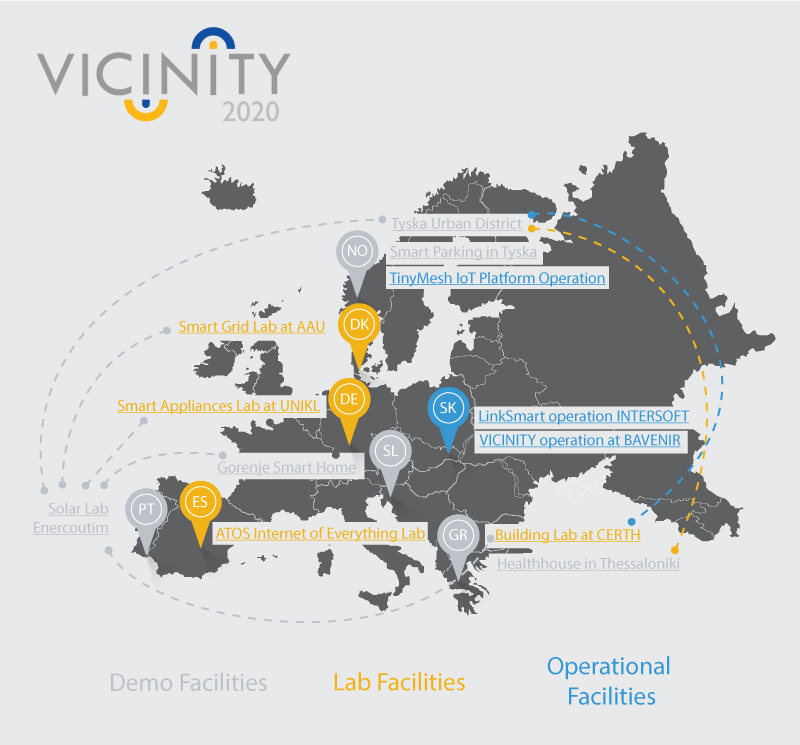 The principal outcome of the VICINITY project is technology platform providing decentralised interoperability of various IoT infrastructures and enabling the exploitation of independent value added services.